These essays and articles were mainly written by enthusiasts of gospel music as amateur writers. All essays are copyright of the authors. Please do not reproduce or distribute them without their prior knowledge and permission. They are provided here for educational use only. 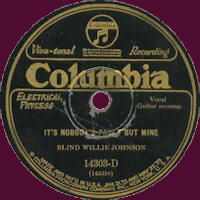 There were indeed quite substantial number of songs and artists who influenced the Texas bottleneck guitar ace, forming an important factor in the roots of Blind Willie Johnson. 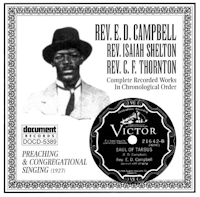 amongst the plethora of early gospel recordings available to us, there are some of the ordinary, forgettable even – BUT there is also a whole body of music which is as intensely felt, emotionally sung, and sometimes as beautiful and ethereal a quality as the finest of not only the post-war gospel but also the cream of the early blues. The above main title comes from a recording by the Delta Big Four from Mississippi who cut it c. 25th. May 1930, in Grafton, Wisconsin, for the Paramount Record label. 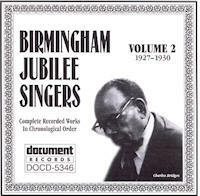 Called We All Gonna Face The Rising Sun, it had been previously recorded by other artists as ‘Four And Twenty Elders’…. 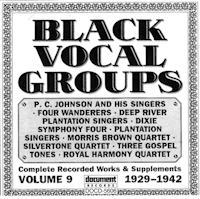 Sometime ago in the mid-1930s, (or a few years earlier) an African American group known variously as the Dixie Symphony Four or Dixie Symphony Singers recorded six performances for a record company on a radio station in San Francisco, California.